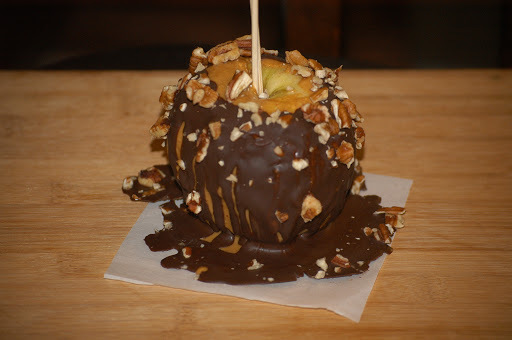 I never was a fan of candied apples. I always thought they were too sweet and I hated the candy part getting stuck in my teeth! I like my version much better plus, I love peanut butter and chocolate together so this recipe is a win, win! 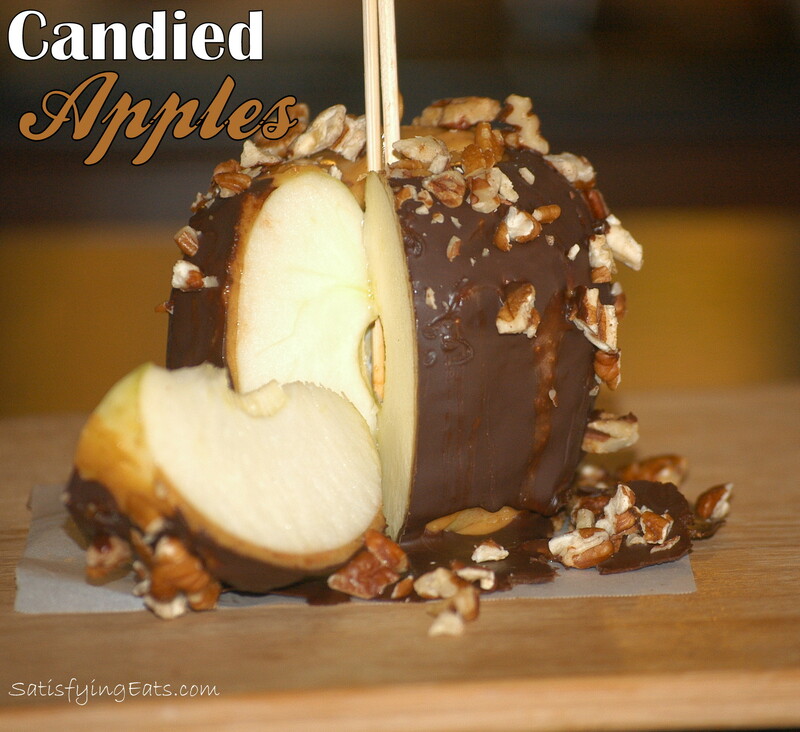 Also, no candy thermometer needed which makes these apples EASY! I opted to do all of my melting on the top of the stove but in a pinch, you could use the microwave. It would only take about 30 seconds or so. I typically do not use microwaves but using one for this recipe would make these even easier! Also, I put just a bit of honey in here to give the coatings the extra sweetness without any possible bitterness that using extra Stevia would give. The key to sweetening any recipe is to taste often and taste each layer. **Dairy Free Option: Use coconut oil in the place of butter. End product will turn out the same but with a slight taste of coconut (unless you use expeller pressed). **Nut Free Option: Use Sunbutter (ground sunflower seeds) in the place of peanut or almond butter. 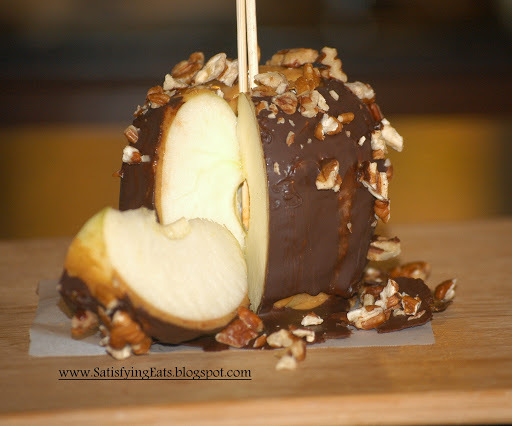 Place apples on wax paper and insert a Popsicle stick or 2 skewers into center of apple. Warm nut butter and butter on top of stove until pour-able. Remove from heat and add sweeteners and mix well. Taste for sweetness. Pour/spread peanut butter mixture on entire apple. Place in fridge for at least 15 minutes to let set. In another small pot or double boiler, slowly melt chocolate and butter. Add sweetener and taste for desired sweetness. Pour over apples (already covered with nut butter). While chocolate is still wet, add chopped nuts or toasted coconut flakes. Refrigerate at least 20 minutes. « Check out FIRST Magazine for Woman….See my success story and before and after pictures! OMG – these are delicious! I've already made 2 batches of these. It's my little 'piece/peace' of heaven at night. I agree w/Karen…these are my little bit of heaven too…soooooo delicious! Thanks for sharing!! Glad you and Hubby enjoyed them Diana!